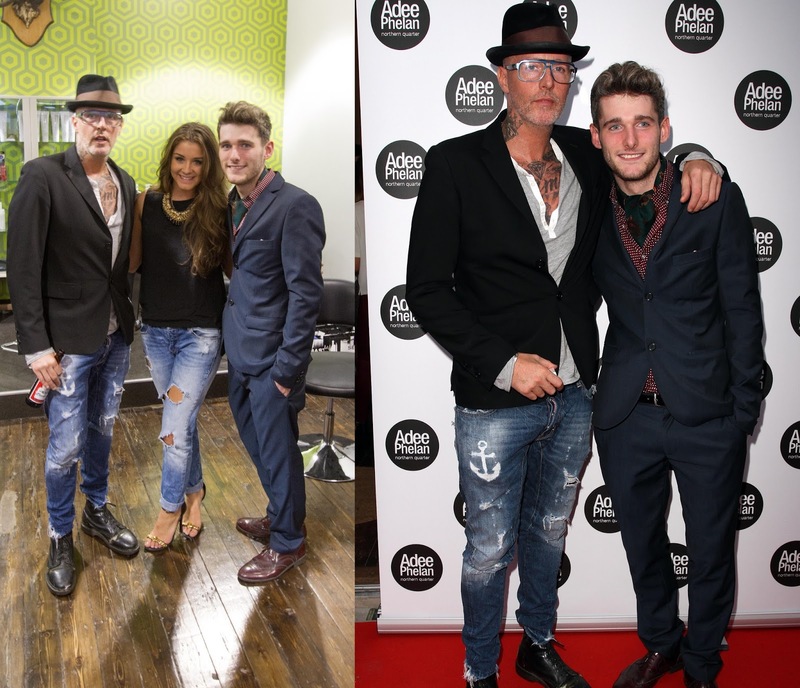 Last night, as well as the Beauty Event, I also attended the Adee Phelan Salon launch party in the Northern Quarter Manchester. Situated on Hilton Street, the Salon fits in perfectly with it's surroundings and will attract the inhabitants of the uber cool district. Fronted by Rob Czlapka (who has been hairdressing since the age of 14!! ), the salon is extremely uniquely furnished (hello flamingo toilet!) and deliberately shies away from the norms of other hair salons, who can at times be a bit clinical. There is an underground cinema which will showcase old movies from September onwards for clients and movie fans alike. The celebs all love a party - this event was no different and attracted a few familiar faces, Brooke Vincent, Chelsee Healey, Marcus Collins and The Apprentice's Francesca MacDuff-Varley attended to show their support for Rob and Adee's new venture. It was a great event, and it was really nice to see someone so passionate about what they do, succeed, and be able to achieve their aspirations. I am confident that the salon will do really well!